You can click below to call new data from Strava. Number of clicks per hour is limited. 3) Upload each segment attempt directly to Strava from recording devices (such as Garmin or iphone etc). The Segments- Look at these carefully to see the start and finish points. An open water swim will be scheduled in November, followed by the traditional BBQ. Prizes will be awarded at the annual dinner. 1. You have to complete all run and ride segments by the last day of 2019 plus the final open water swim (with BBQ). 2. Your fastest times as recorded on Strava during the period defined, on the segments listed, will be added together to give you a final time. You may attempt each segment as often as you need to record your quickest time. 3. An equal opportunities club (we know our men are often chicked, but they should still be rewarded for participation), various prizes will be awarded, at the club’s discretion, including the Tritons Strava Queen & King of 2019. 4.  Because Tritons is a triathlon club, you need to complete all the segments and the swim to be in contention for any of the prizes. 5. You are not permitted any motorised assistance on any of the segments, however you are allowed to draft and ride in packs or use the force of a good typhoon wind to achieve the fastest times. 6. Strava times are final. Only complete rides uploaded directly from recording devices (such as Garmin or iphone etc) should be used - uploaded GPX files, cropped rides, or rides that do not have a logical start and end point will be reviewed by the Tritons Strava anti-doping Police (afterwards known as the Tritons Digital EPO Po-Po). 7. You must upload your activity within 2 weeks of doing the segment. No Sand-bagging here! Our Tritons Digital EPO Po-Po will be watching upload times very closely! 8. The challenge (ok, let’s be honest- competition) is open to all via our Strava Tritons club page here:https://www.strava.com/clubs/tritons-triathlon-club. 9. Whilst everyone is welcome to join the page and race against the clock, only those current 2019 Tritons members will be in the running for the prizes.